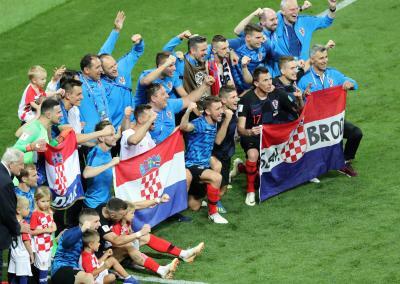 Zagreb July 12 (IANS) The celebrations across Croatia following the Croatian football team s semi-final win against England at the 2018 FIFA World Cup caused small earthquakes in the country local seismologists said on Thursday. According to the geophysics department of the Faculty of Science at the University of Zagreb seismic instruments in the capital recorded intensified tremors at 10:20 pm and after 10:37 pm reports Efe. Those times coincided with the moments when striker Mario Mandzukic scored the decisive goal of the Croatian 2-1 victory and when the final whistle of the match blew marking the Balkan squad s entry into the coveted World Cup final.